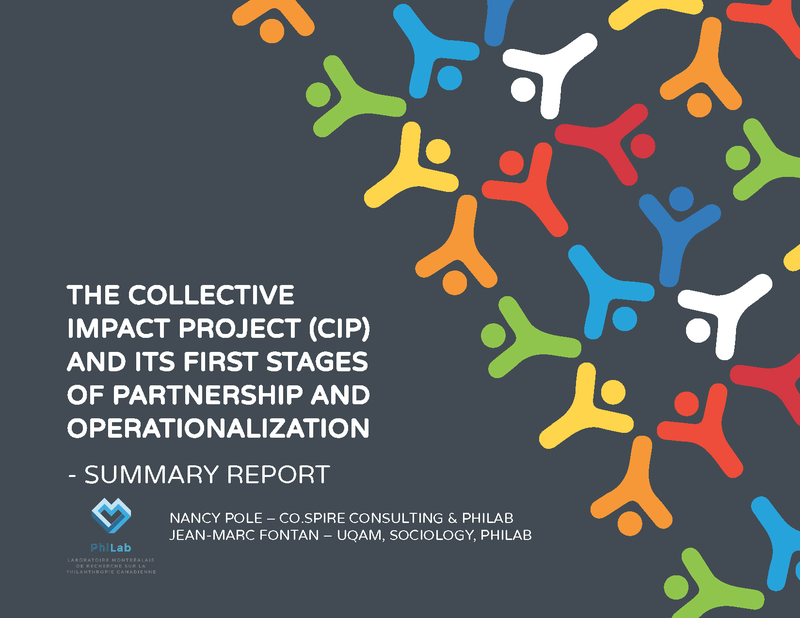 This study was carried out as part of the CIP’s overall evaluation, whose main purpose is to promote strategic learning along four dimensions: strategies of support to communities, the partnership itself, the initiative’s regional influence and the philanthropic action model developed through the initiative. The study situates the initial intentions and reviews the key moments of the design and early implementation phases of the CIP. Among other things, it focuses on the formation and evolution of the partnership and asks the following questions: What identity does the CIP assume, and what does it want to achieve? How do stakeholders in the CIP action system embrace and understand the opportunity that this initiative represents? The study’s findings are intended to support greater awareness among partners and suggest possible adjustments to be made. It also provides a portrait of the initiative’s starting point, which can then serve as a reference for future evaluation activities. Between September 2016 and March 2017, the authors consulted the relevant literature and conducted 25 interviews with partners, key informants and representatives of communities eligible for receiving funding support. Their work was guided by a monitoring committee composed of Centraide representatives and a designated resource person.